Mark Wahlberg (Mark Robert Michael Wahlberg) is an American actor, producer, model, and former rapper that was born on June 5, 1971 in Boston, Massachusetts, USA. His mother, Alma Elaine was a bank clerk and nurse's aide while his father, Donald Edward Wahlberg was a delivery driver. He divided his time between his parents after they got divorced in 1982. He is from Swedish, Irish, English, and French Canadian descent. He the youngest of his eight siblings; Arthur, Jim, Paul, Robert, Tracey, Michelle, Debbie, and Donnie. They grew up in a Roman Catholic upbringing. He went to Copley Square High School but did not graduate. He later received his high school diploma in June 2013. His father was also a US Army veteran of the Korean War and he died on February 14, 2008. Mark is 5' 8" (1.73 m) and is also known by nicknames Marky Mark and Monk D.
Mark has had numerous (20–25 times) encounters with the Boston Police Department when he was younger. He was addicted to cocaine amongst other substances by the age of 13. A civil action case was filed against him at the age of fifteen for harassing African-American children on two separate occasions. He threw rocks and said racist things to them. He used a large wooden stick to knock middle-aged Vietnamese Thanh Lam unconscious while calling him "Vietnam ****ing sh*t" when he was 16 years old. He also punched another Vietnamese man, Hoa "Johnny" Trinh in the face the same day he hit Thanh Lam. He was arrested that very same night and told police officers "You don't have to let him identify me, I'll tell you now that's the mother-fucker who's (sic) head I split open." He pleaded guilty to the crimes and was sentenced to two years in Suffolk County Deer Island House of Correction. He only served 45 days of his sentence in jail before being released. He got into an argument with his neighbor at the age of 21 and in a result, fractured his neighbor's jaw. In 2006, Mark said "I did a lot of things that I regret, and I have certainly paid for my mistakes" when speaking about his crimes. He also said "You have to go and ask for forgiveness and it wasn't until I really started doing good and doing right by other people, as well as myself that I really started to feel that guilt go away. So I don't have a problem going to sleep at night. I feel good when I wake up in the morning." "As soon as I began that life of crime, there was always a voice in my head telling me I was going to end up in jail. Three of my brothers had done time. My sister went to prison so many times I lost count. Finally, I was there, locked up with the kind of guys I'd always wanted to be like. Now I'd earned my stripes and I was just like them, and I realized it wasn't what I wanted at all. I'd ended up in the worst place I could possibly imagine and I never wanted to go back. First of all, I had to learn to stay on the straight and narrow." "I've made a lot of mistakes in my life and I've done bad things, but I never blamed my upbringing for that. I never behaved like a victim so that I would have a convenient reason for victimizing others. Everything I did wrong was my own fault. I was taught the difference between right and wrong at an early age. I take full responsibility." 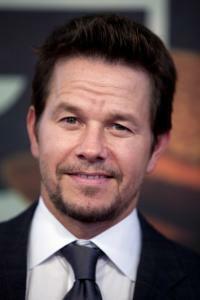 He was first known/famous as Marky Mark in 1991 for being the frontman for the band Marky Mark and the Funky Bunch. Mark was also recognized as the younger brother of Donnie Wahlberg from the successful New Kids on the Block band. He was one of the group's original members at the age of thirteen. He then began recording as Marky Mark and the Funky Bunch which resulted in a hit with "Good Vibrations" from the album Music for the People. The record hit No.1 on the Billboard Hot 100, and was soon certified as a platinum single. His second single, "Wildside", hit No. 5 on Billboards Hot Singles Sales chart and at No. 10 on the Billboard Hot 100 and was certified as a gold single. Marky Mark and the Funky Bunch had their own video game which was titled Marky Mark and the Funky Bunch: Make My Video. He soon after went on to acting and had small roles in several films including The Substitute (1993) and Renaissance Man (1994). He dropped his name Marky Mark after appearing in The Substitute (1993). Some major roles he had in movies include Boogie Nights (1997), Three Kings (1999), The Perfect Storm (2000), Planet of the Apes (2001), Rock Star (2001), The Italian Job (2003), The Departed (2006), The Other Guys (2010), The Fighter (2010), Ted (2012), Lone Survivor (2013), Pain & Gain (2013), and Transformers: Age of Extinction (2014). He went on to making more songs and videos with various artists. He first showed his body in the Good Vibrations music video. He went on to modeling for Calvin Klein in underwear ads (1992), Herb Ritts and TV advertisements by Calvin Klein. Kate Moss would sometimes be in the photo’s/ads with Mark. Mark made a workout video titled The Marky Mark Workout: Form... Focus... Fitness. Mark dated former child actress Soleil Moon Frye in the early 1990s. He started dating model Rhea Durham in 2001 and they got married on August 1, 2009 at the Good Shepherd Catholic Church in Beverly Hills. They have 4 children whose names are Ella Rae Wahlberg (September 2, 2003), Michael Wahlberg (March 21, 2006), Brendan Joseph Wahlberg (September 16, 2008) and Grace Margaret Wahlberg (January 11, 2010). He attends church daily and is a Roman Catholic. His wife was a Baptist but converted to Roman Catholic. He had an interview with USA Weekend in 2011 and he said that he had taken his children to visit his old neighborhood, Dorchester: "I want them to know that not everyone is as fortunate and how important it is to work hard and give back." - He is active with The Good Shepherd Center for Homeless Women and Children. 2001, May - He established the Mark Wahlberg Youth Foundation which raises and distributes funds to youth service and enrichment programs. 2012 - He launched a line of sports nutrition supplements called "Marked". 2012 - He was quoted in a magazine interview saying "If I was on that plane with my kids, it wouldn't have went down like it did," and, "There would have been a lot of blood in that first-class cabin and then me saying, 'OK, we're going to land somewhere safely, don't worry,'" regarding his schedule flight on American Airlines Flight 11 on 9-11-01. He cancelled the flight the day before departure because of change of plans. He received bad criticism regarding what he said in his magazine interview and made a public apology to family members of those killed on the flight. 2014, November 26 - Mark filed an application requesting a full and unconditional pardon from his previous crimes/convictions in Commonwealth of Massachusetts.